Harare ( /həˈrɑːreɪ/ ;  officially Salisbury until 1982)  is the capital and most populous city of Zimbabwe. 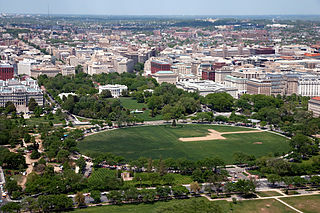 The city proper has an area of 960.6 km2 (371 mi2) and an estimated population of 1,606,000 in 2009,  with 2,800,000 in its metropolitan area in 2006. Situated in north-eastern Zimbabwe in the country's Mashonaland region, Harare is a metropolitan province, which also incorporates the municipalities of Chitungwiza and Epworth. The city sits on a plateau at an elevation of 1,483 metres (4,865 feet ) above sea level and its climate falls into the subtropical highland category. 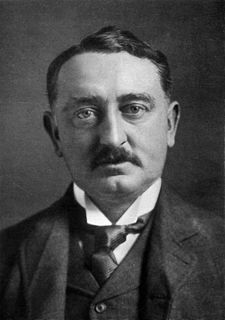 The Pioneer Column, a military volunteer force of settlers organised by Cecil Rhodes, founded the city on 12 September 1890 as a fort. They originally named the city Fort Salisbury after The 3rd Marquess of Salisbury, then British prime minister, and it subsequently became known simply as Salisbury. The Salisbury Polo Club was formed in 1896. It was declared to be a municipality in 1897 and it became a city in 1935. The name of the city was changed to Harare on 18 April 1982, the second anniversary of Zimbabwean independence, taking its name from the village near Harare Kopje of the Shona chief Neharawa, whose nickname was "he who does not sleep". Prior to independence, "Harare" was the name of the black residential area now known as Mbare. Wikivoyage has a travel guide for Harare . Masvingo is a city in south-eastern Zimbabwe and the capital of Masvingo Province. The city is close to Great Zimbabwe, the national monument from which the country takes its name. Masvingo is close to Lake Mutirikwi, its recreational park, the Kyle dam and the Kyle National Reserve where there are many different animal species. Robert Gabriel Mugabe International Airport, formerly known as the Harare International Airport, is an international airport in Harare, Zimbabwe. It is the largest airport in the country and serves as the base of Air Zimbabwe. The airport is operated by the Civil Aviation Authority of Zimbabwe. It was originally built as Salisbury Airport. The Rhodesia cricket team played first-class cricket and represented originally the British colony of Southern Rhodesia and later the unilaterally independent state of Rhodesia which became Zimbabwe. 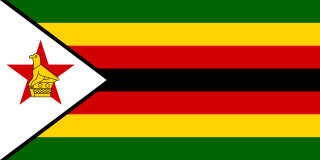 In 1980 the Rhodesia cricket team was renamed as the Zimbabwe-Rhodesia Cricket team, and in 1981 it adopted its current name of the Zimbabwe national cricket team. Lieutenant General Lookout Khalisabantu Vumindaba Masuku commanded the Zimbabwe People's Revolutionary Army, the militant wing of the Zimbabwe African People's Union, during the Rhodesian Bush War. He served as the deputy commander of the Zimbabwe National Army until his arrest in 1982 for allegedly plotting to overthrow President Robert Mugabe. The Herald is a state-owned daily newspaper published in Harare, the capital of Zimbabwe. 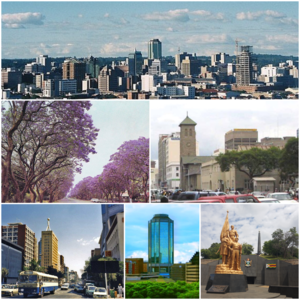 Harare Metropolitan Province is a province in northeastern Zimbabwe. It comprises Harare, the country's capital and most populous city, and two other municipalities, Chitungwiza and Epworth. 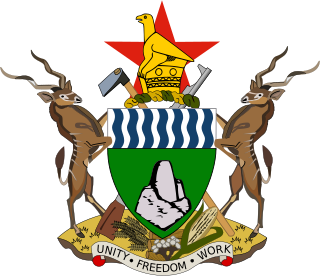 Originally part of Mashonaland Province, in 1983 the province was divided into three large provinces, Mashonaland Central, Mashonaland East, and Mashonaland West, while Harare and two nearby towns became their own metropolitan province. Harare Province is divided into four districts. Miriam Chikukwa is the current provincial governor. Ecobank Zimbabwe Limited (EZL), is a commercial bank in Zimbabwe. It is one of the commercial banks licensed by the Reserve Bank of Zimbabwe and a subsidiary of Togo-based Ecobank. The following is a timeline of the history of the city of Harare, Zimbabwe. ↑ "Mayor 2013–2018". City of Harare. Archived from the original on 15 May 2013. Retrieved 3 December 2013. ↑ "Harare" . Retrieved 25 May 2015. ↑ Harare Provincial Profile (PDF) (Report). Parliament Research Department. 2011. Archived from the original (PDF) on 3 July 2013. Retrieved 22 November 2013. ↑ "'Harare among world's worst cities to live in'". DailyNews Live. 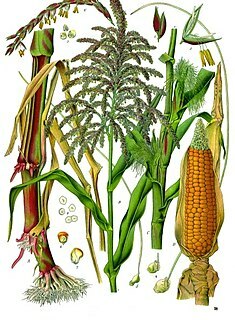 Retrieved 2018-08-02. 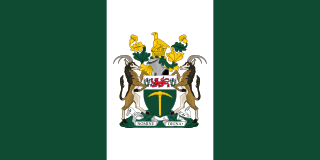 ↑ "Zimbabwe - Rhodesia and the UDI". ↑ "Joina City Occupancy 3pc". ForBuilder. 16 October 2011. Archived from the original on 9 September 2013. ↑ "Mugabe's Borrowdale Brooke neighbour speaks out". 22 June 2014. ↑ "Harare Kutsaga Climate Normals 1961–1990". National Oceanic and Atmospheric Administration . Retrieved 10 June 2016. ↑ "List of previous CHOGMS". Archived from the original on 31 October 2008. ↑ "8th assembly & 50th anniversary" . Retrieved 25 May 2015. ↑ "ICC World Cup Qualifiers 2018 - Super Sixes Match 8 - Zimbabwe v United Arab Emirates - Preview". ↑ Dhedheya, Itai. "City of Harare - Twinning Arrangements". City of Harare. ↑ Pennick, Faith; Calhoun, Jim (1990-08-05). "Harare newest link: Cincinnati adds sister city in Africa". The Cincinnati Enquirer . Retrieved 2018-05-21. ↑ "Harare twins Guangzhou". The Herald. 2015-09-22. Retrieved 2018-05-23. ↑ Kalayil, Sheena (2015-04-02). The Beloved Country. Grosvenor House Publishing. 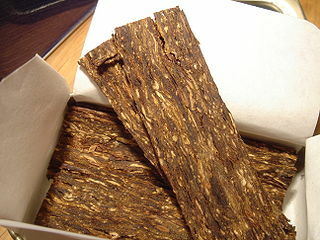 p. 29. ISBN 9781781484647.